Pharmacies across America are introducing a way for people to simplify their medication routine called medication synchronization, or med sync. The goal of med sync is to streamline all medications into one monthly pharmacy visit for all of a patient’s medicines instead of multiple trips for prescriptions. 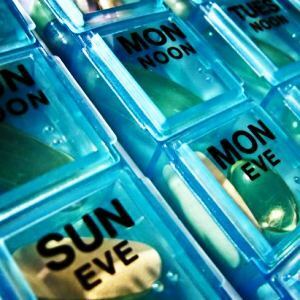 The blog, Ask About Adherence, from the Pharmaceutical Research and Manufacturers of America, hopes this will help reduce the stress patients experience around adhering to medication schedules. Anyone can use med sync, so long as their local pharmacy offers the program. Medication Adherence Alliance, Align My Refills and Simply Sync are websites that offer additional information on med sync programs. Want to get notified whenever we write about Pharmaceutical Researchers and Manufacturers Association ? Next time we write about Pharmaceutical Researchers and Manufacturers Association, we'll email you a link to the story. You may edit your settings or unsubscribe at any time.